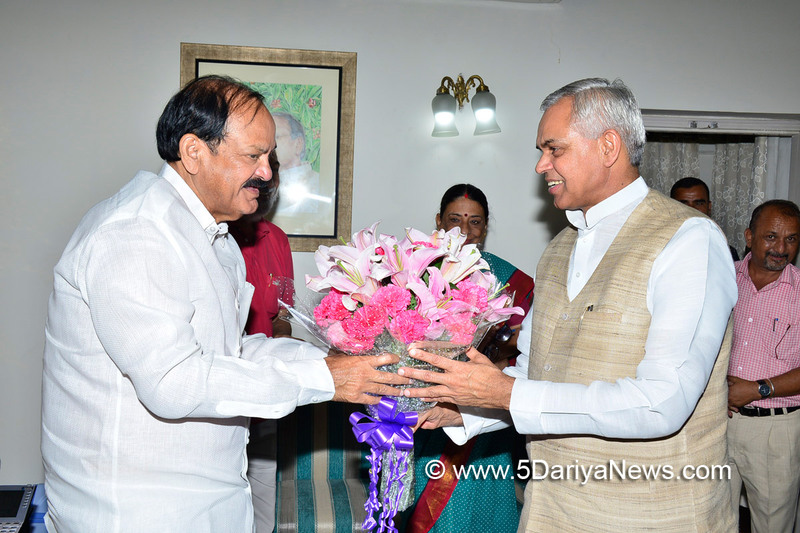 Governor Acharya Devvrat called on former Union Minister of Urban Development Shri Venkaiah Naidu at New Delhi, today. He is also the NDA candidate for the post of Vice-President of India. It was a courtesy call.